It’s been eight months since the Grenfell Tower fire, which left at least 71 people dead on June 14, 2017. However, many of the survivors say they’re still having to fight for justice against “authorities that don’t trust us”. “People like me lost their lives,” says co-chair of the Residents Advisory Panel (Notting Dale) Samia Badani. “We’re trapped in a system that made decisions for them but without them”. 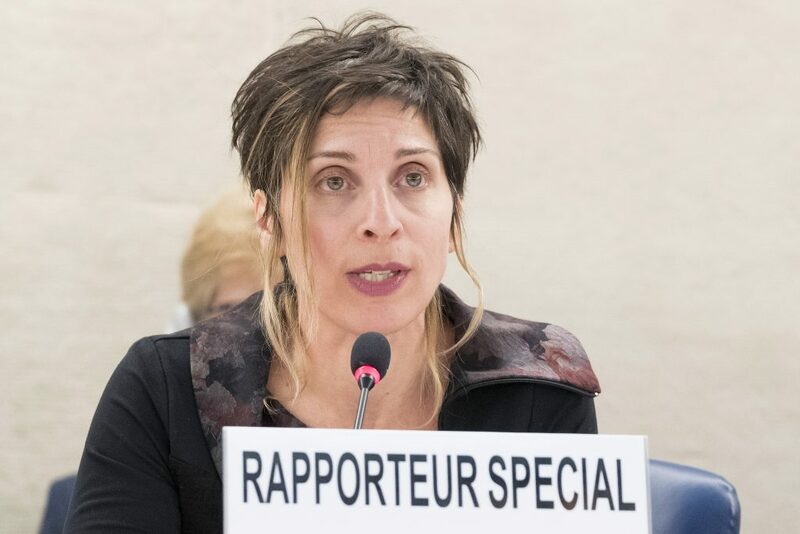 The Just Fair event brought together survivors and wider bodies, including Leilani Farha, UN Special Rapporteur on the Right to Adequate Housing. Our home is the epicentre of our safety and connection with others. It is stability. Farha said that from the survivors she has spoken to, the Grenfell fire is clearly an ongoing human rights issue. Everyone has a right to adequate housing yet there are still some former Grenfell Residents that are living in hotels, something Farha labelled “temporary accommodation at best”. Adequate housing means that residents should not have to worry about being evicted, should be able to live somewhere in keeping with their culture and have access to services such as schools. Farha made it clear that the survivors of Grenfell are ‘rights holders’ and as such should be involved in decisions that affect their rights. “There is no wiggle room with human rights,” said Farha. “States are accountable to the people”. There is no wiggle room with human rights. States are accountable to the people. Human rights law means that all of those affected by Grenfell are rights holders and as such must be part of all decision making. “There should be meaningful participation of every person at every stage,” added Farha. “This also includes participation in terms of monitoring outcomes”. Rights-based participation is different from a consultation – there should be a community feel that dictates the situation. Farha also stressed the need to look into the structural causes of the fire. Various United Nations bodies had expressed real concern about social housing in Britain before the Grenfell fire. Such concerns include Farha’s own communication with the UK government on the impact of austerity measures on social housing standards. The UN Committee on Economic, Social and Cultural Rights also called on the UK government in 2016 to “take corrective measures to address bad housing or sub-standard housing conditions” and a 2012 report said “the right to adequate housing is being eroded” in the UK. There are clear standards on what constitutes adequate housing and what should happen when people lose their homes. People should be provided with long-term housing options that suit the needs of the household and the housing should be dictated by those who have lost their homes. However, many Grenfell residents say this is simply not the case. Samia Badani, the co-chair of the Residents Advisory Panel (Notting Dale), lost her home in the fire. 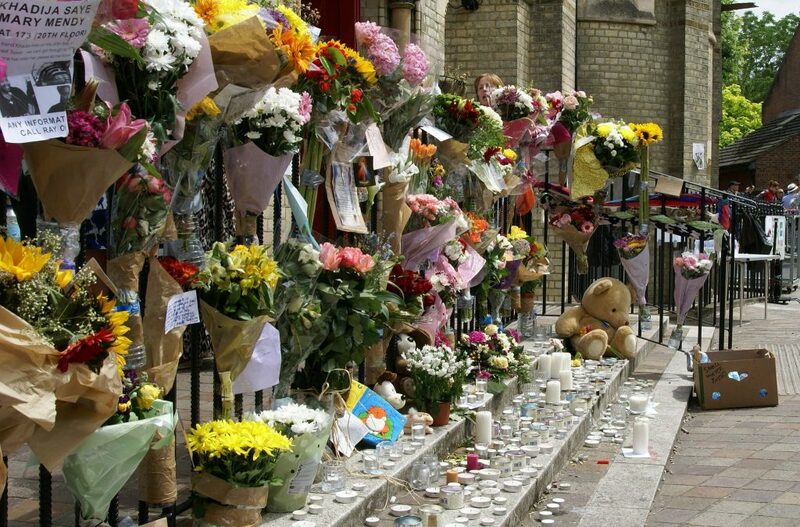 She said that the residents of Grenfell had faced an “attack on our dignity – before Grenfell, that night and after that night”. An attack on our dignity – before Grenfell, that night and after that night. 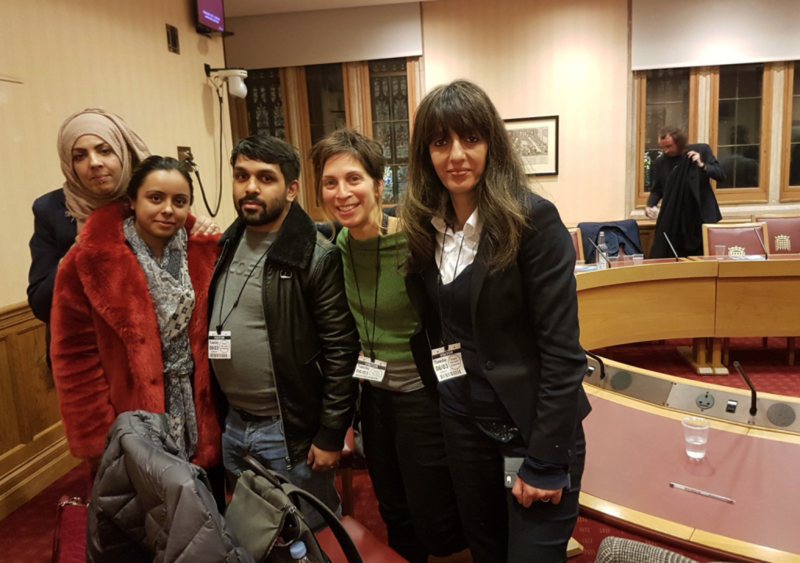 “We shouldn’t have to fight for our rights,” she said, but stressed they feel they are not being listened to by their local council or the borough of Kensington and Chelsea. “We have a local authority that is not willing to trust us or give us any form of power,” she added. “They can’t listen because they don’t know how to engage. There must be a change in power relations. The only way forward is a resident-led way forward”. 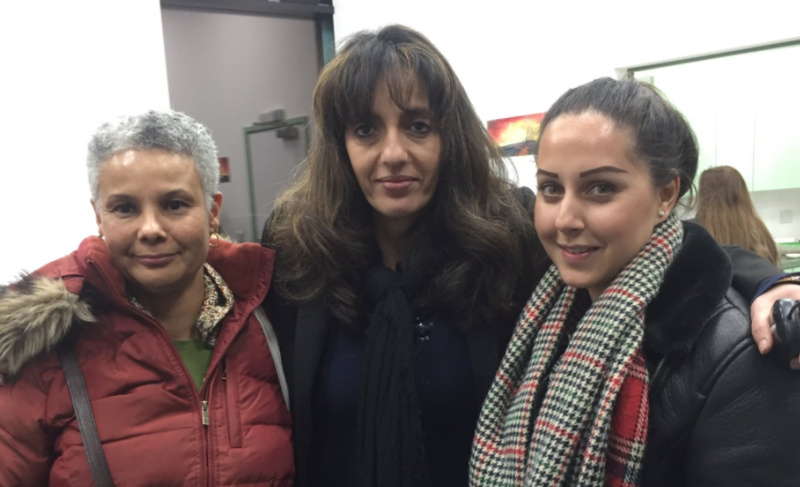 Aziza Boudafcha is the Chair of the Grenfell Walk Residents Association. She and her five children watched their home burn last June. It took the council 24 hours to put her and her five children in a hotel. The hotel only gave them breakfast and dinner and didn’t serve Halal food. Boudafcha had to fight the council to get a food allowance so that they could have lunch. She said she started Grenfell Walk Residents Association because: “When I took one step forward I made sure that everyone else took a step with me”. “I know what’s best for me, my area, my community. I’ve lived here, I know what they want. We’re not bad people”. This man's entire family was in the London tower block when it caught fire. He hasn't heard from them since. Mohammed Hakim lost his mother, father, two brothers and sister to the fire. “Since the 14th of June, my life’s been completely turned upside down.” It took months for Mohammed to get the remains of his family members, so he could bury them. So many promises are made yet we are still waiting. “Being in social housing is so unpredictable. Things are lacking – like safety measures,” he said. Mohammed’s father wrote to the council about the safety measures, but nothing changed. “This all could have been prevented. I still would have a family today” he added. “So many promises are made yet we are still waiting”. 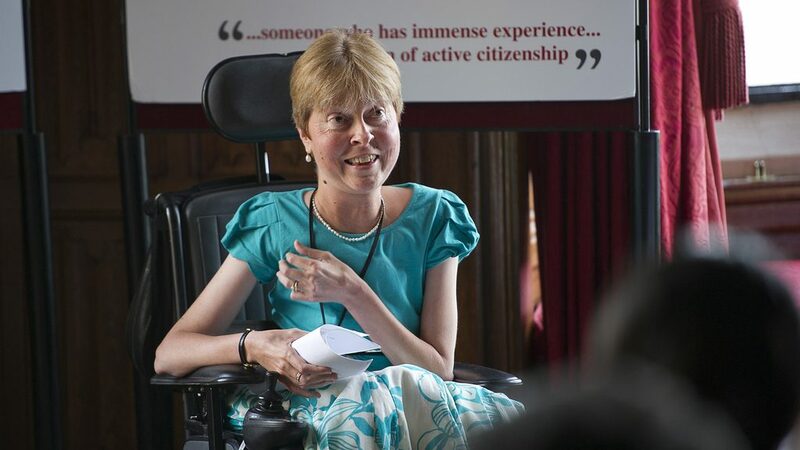 Baroness Campbell told the former residents that there is a slogan she uses when campaigning for disability rights: “Nothing about us, without us”. She advised them to adopt this slogan and added that “every meeting without you is invalid because it ignores the experts”. “Social housing is a social good,” added Farha. “I think if you’re concerned with money, you’re not concerned with people”. The cladding that made the building so flammable had been downgraded from the proposed more expensive non-flammable version to save the council nearly £300,000. The way that the residents have been treated “suggests that your dignity has been assaulted and your life threatened and those are human rights issues” Farha concluded.